Any week when I can announce new releases by both Northaunt and Svartsinn is a monumentally good week in my opinion! There are a ton of great new releases to browse, some interesting announcements and a LOT of new reviews from the previous week. Also there is a new mix from us for you to check out. So take your time with this, there’s a light here to absorb! Cheers! 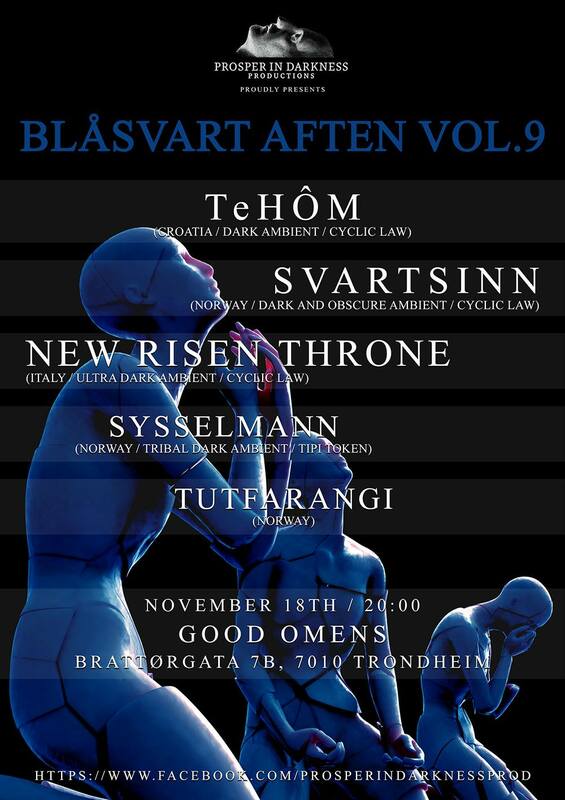 Dark Ambient Evening of Live Music arranged by Jan Roger of Svartsinn. If only I were in Scandinavia! The line-up for this year looks really impressive! If you haven’t yet heard Sysselmann I thoroughly recommend reading my review of their album here and giving it a listen! Murgrind is the dungeon synth project of the man behind the Deivlforst Records label, the forerunner in the dungeon synth genre, but not exclusively dungeon synth output. Murgrind’s discography as long been sold out and now they have re-released all three albums in beautiful new digipak and A5 digipak formats. Give the Murgrind collection a listen! I personally just ordered a few of these and would definitely recommend them to others. Endless Melancholy is an ambient group that I’ve been following for a year or so. 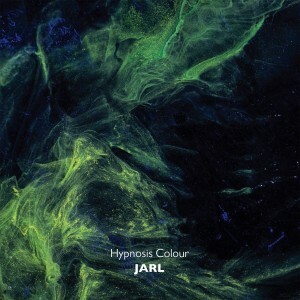 They release ambient music that is always right outside the fringes of dark ambient. This video certainly won’t be for everyone, but it’s a nice song with great video production and is worth watching for those that like some lighter sounds in their lives occasionally. Shrine says of this preview: “This is a preview of the new Shrine full length album, which is to be released next spring on Cyclic Law Records. No artwork yet, the one above is a thematic sample. Once the album is out, this preview will be deleted. You can read our review of it at this link. 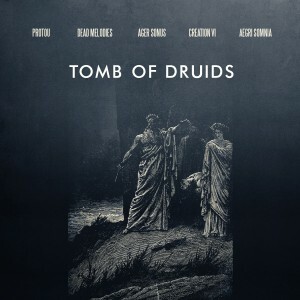 Cryo Chamber says about the album: “Tomb of Druids is the third album in the “Tomb” series, 5 ambient artists join forces to delve deep into druidic history. A ‘name your price’ horror dark ambient release from the dark experimental label Throne of Bael. Some haunting drone atmospheres here worth a listen! 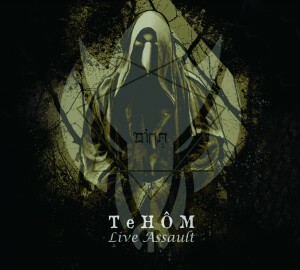 This is some incredibly dark and crushing ritual ambient/dark ambient/atmospheric black metal/and so-forth. I’ll likely be reviewing it in the near future. Grey Matter Productions, ‘Musick For Dead Souls’, says of the release: “Dark ambient ceremonial rituals and mysteriis, droning on through analog electronics, chanting, throat singing and more. Noctivagant says of this release: “Blakkr Seidr is the amalgam of the knowledge of these two adepts, of the black arts in disposition to the spheres of consciousness beyond the created, those that dwell in the eternal emptiness and chaos. Each copy of Blakkr Seidr has been musically programmed and consecrated energetically in order to establish an acausal connection with the spirits that live beyond the veil. This cassette was an instapurchase for me. A review will be forthcoming! 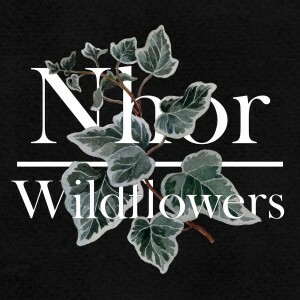 Highly recommended music from the genre of winter synth which falls somewhere between Mortiis and Northaunt! Lighten Up Sounds says about the album: “Hypnotic minimalism manifests in monochrome, transversing the barren winter wastelands. “Tales of the Frost” delivers a pure vision of frigid polar ambience and melancholic synthesis from F. Curwenius (Goblintropp) of Argentina. Body temperatures plummet as the blood runs cold, wind chill cuts like sharpened blade. Embers Below Zero, the dark ambient project of Przemysaw Murzyn, owner of Santa Sangre, and writer for This Is Darkness, has released a new EP. ‘name your price’ so you can’t go wrong here! Not dark ambient, but some neo-classical solo violin that sounds incredibly beautiful. I have only heard the preview track, “Into the Dark” but all these track titles indicate that this should be a dark themed release. I’ll be keeping an eye on it, and you should too! Not dark ambient, but worth a listen! Faintly Recollected is a beautiful and somber long form neo-classical piece with ambient elements by Danny Norbury and Ian Hawgood. Some dark drone ambient from a talented project that is often over-looked. I’ve been following them since about 1 1/2 years ago and they have plenty of quality material. Worth a listen! Read our review of the album at this link. Lighten Up Sounds says about the album: “Stunning shadow sound from Italian solo artist Matteo Brusa, known for his powerful Dungeon Synth work as Medhelan. 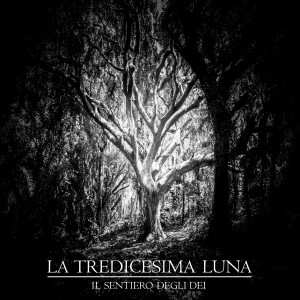 This dark debut from the project (translated as The 13th Moon) offers a flawless form of foreboding night-sky synthesis and ominous drone, a cryptic key to the eternal lunar mysteries. Moonlight as filtered through branch and fog, a pristine transmission of somber atmospherics for seasonal shift. These are a few of their tracks that were outtakes from recent albums. Post-apacalypse raga / ritual dark ambient. Not dark ambient, but some neo-classical piano work that sounds incredibly somber and melancholic. Defitely worth checking out for those who enjoy some classical occasionally. 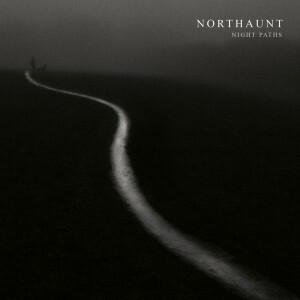 Northaunt says about the album: “For many many years I have hiked into the woods, trying to get away from it all. Precious days offering silence and room for new thoughts. Nights spent in the wild, watching familiar forms transform as darkness fall, feeling it stir something inside, something overlooked in the stress and clutter of everyday life. This is my channelling of these feelings, my tribute if you like, to night, the woods and solitude. New Oracle approached me a few days ago with their two latest releases and I was very impressed. Here’s their new album, Orogenesis. I would definitely recommend giving this a listen. The previous album is also available on their bandcamp for ‘name your price’. New Oracle says of this release: “Orogenesis is the process of mountain formation. These songs were formed in the same fashion—songs of intense pressure, heat, and fluidity. Hardening over time, steady refinement. Two long-form dark and droning tracks by the prolific ambient artist Scott Lawlor. This looks to be one of his darker releases and is definitely worth a try, especially since it’s ‘name your price’! Winter-Light says of the release: “‘Winterlicht’ is Seetyca’s third full length album to be released on the Winter-Light label. As the album title indicates the theme is that of the winter’s light and comprises of 12 new tracks, combining deep drones and sparse musical pieces to create a vast wintry landscape. The opening track ‘cold morning’ invokes images of sunlight playing across fields steeped in deep white snow while your cold breath disappears in to the morning air. The title track ‘winterlicht’ is a slowly evolving darker, deeper 13 minute drone piece. Here the heavy mantle of winter steadily envelopes the listener, drawing the darkness of the nights ever nearer, as the cold winds howl and the ice begins to form, locking the landscape in to a frozen tundra. THEOLOGIAN returns from a trek into the deepest internal chasms, after drowning in misery and self-defeat, to the gates of the FORCED UTOPIA, released in time for THEOLOGIAN’s appearance at INTO THE AETHER, a two-day festival in Portland, Maine. Apocalyptic industrial for the end times. The album can be ordered here. Not dark ambient, but likely of interest to a great number of dark ambient fans, so I’m posting it! 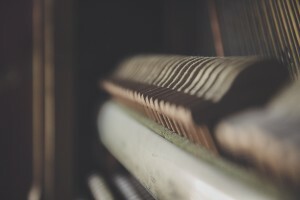 Dark Piano Nights is a combination of dark ambient with some various other styles that all come together to form a peaceful yet melancholic nighttime listening session. This is mostly free of vocals, but there are a few exceptions throughout. 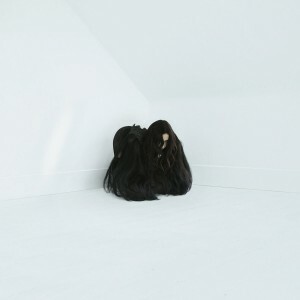 The music becomes more active at times than that of a strictly dark ambient set-list, but I think the flow is good and the music, which includes classical, jazz noir, and a mix of others, is all highly enjoyable. I hope you will also enjoy this mix on a lonely dark rainy evening, when you are alone with only your thoughts, a good book, and an internet connection.